I thought you might want to know how Cassandra is doing now that her arm is healed (see photos). It is still the beginning of the competitive season, but she’s been pretty consistent so far. She came third in the first meet and second in the second. We’ll see how she does at Fall State this weekend. 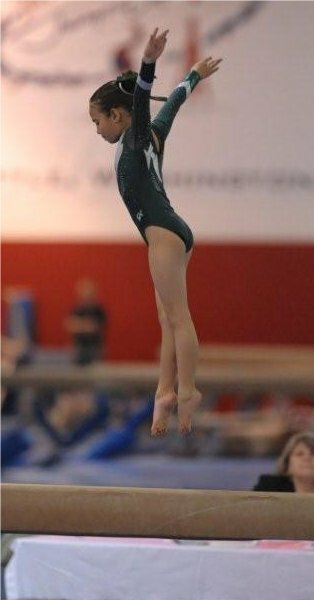 Most importantly, she’s doing something she absolutely loves (she wants to be a gymnastics teacher when she grows up), and she’s happiest when doing flips with her other gymnast buddies. Many thanks again for your encouragement, as well as your ability to prevent Cassandra from hurting herself even more, at a time when she wouldn’t listen to caution.